SL Benfica Sporting Director and former AC Milan number 10 Manuel Rui Costa had been talking about 2 emerging talents from the Portuguese outfit. The 2 stars are €120 million sensation Joao Felix and defender Ruben Dias who both have been linked with a move to Juventus. 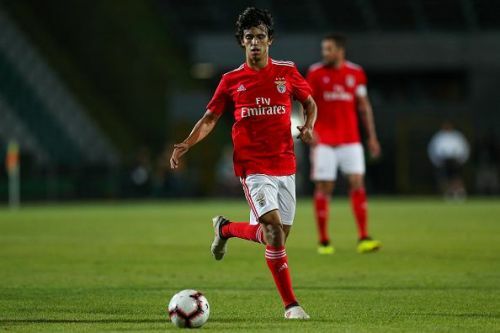 Joao Felix, a 1999-born trequartista, considered Rui Costa’s heir: "Someone called him my heir. Or the new Kaka. The truth is that Felix is only Felix. He has an extraordinary sense of play and he has a rare ability, he can guess what will happen in front of the goal. He is a modern number 10, a second striker with a remarkable sense of goal, he scored 10 goals in the league. €120m release clause? We will try to keep him as long as possible, this applies to Felix as to all the others. This is the club's policy, then we will see why we are aware that the clauses exist and that certain players cannot be held back indefinitely in Portugal," he said. On Ruben Dias – He then went on to speak about the central defender, also linked to Juventus: "If he goes away I don't know: we would like to keep him still and Ruben knows that here we would have a lot of attention. The club has needed to sell to make cash. We will see how the summer market will develop," he concluded.